Association of Australia - this great partnership combines both of my passions in one inspirational story! Susi Hartley was given a new lease of life by her dog Lex, after a naval accident left her paralysed. Now she's hoping to compete in the Paralympics Games. 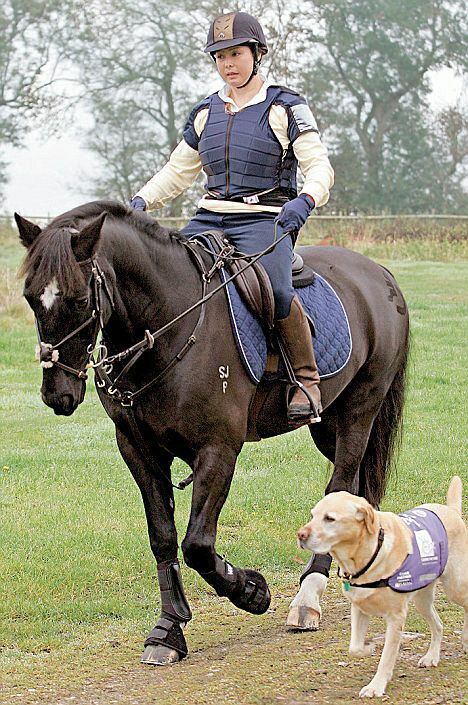 Were it not for Lex, Susi would not be riding out today across the Norfolk Fens on a handsome black gelding, show-jumping, or cherishing Paralympic dreams. In fact, if it was not for Lex Susi might not even be here. These are a few video clips of Lex, her Canine Partner, who helps Susi with chores around the yard. Susi is training to qualify for the 2012 Paralympic Games and is looking for sponsorship. Can you help her realise her dream? Canine Partners is a small, Sussex-based UK Charity, unsupported by Government funds, which relies on private donations to provide expertly trained assistance dogs for the disabled.